We believe in the Honeybees and support they bio-diversity of our almond suppliers as well as the Xerces Society. Indulgence has never been quite this beautiful. Tastes like you’re cheating, but you’re not. Silky sweet indulgence, no sin. 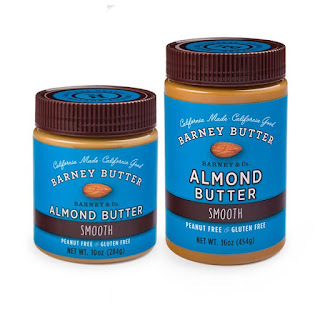 Made with the perfect blend of Barney Bare Smooth, chocolate (allergen free, Enjoy Life®) and coconut oil, this blend will remind you of a certain candy bar with coconut, almonds, and chocolate. Classic blend with a crunchy kick. Old school style. Our only blend with an unroasted, un-blanched almond. 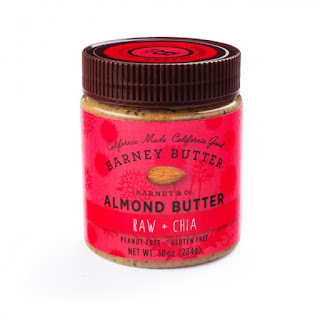 An almond butter made to partner with the likes of chia. What happens when two superfoods get together in the same jar? Magic! That’s what happens. Magic in your oatmeal, magic in your smoothie, magic right out of the jar. Exception to the rule. Honey and almonds are just a marriage made in heaven. Add flax and that’s just a commitment you’re going to want to make. Our signature blanched almonds sweetened up with a touch of honey and then complimented further with the earthiness of omega rich flax. It’s a yin and yang thing. Classic blend of blanched almonds. 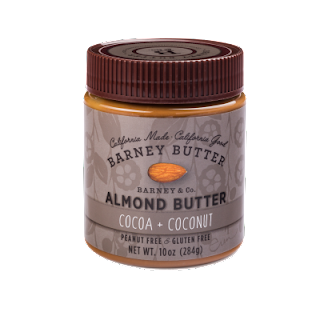 The “original” Barney Butter, created as a healthier alternative to peanut butter, we call it the “gateway” almond butter. This is THE one that will get that stubborn peanut butter lover to make the healthy swap. The secret? Our signature move – a “blanched” almond! It’s hard to describe love. You just know it’s there when it exists. This is one you think may have to grow on you, but then, bam! It just hits you. It’s subtle, but it’s not. It’s sweet, but it’s not. It’s robust, but it’s not. It’s smooth, but it’s not. It’s a verifiable dichotomy, a contradiction of terms. Try it, your banana will thank you. Made with our blended blanched almond butter, organic fair-trade espresso and natural vanilla. Pure & Spreadable, with a crunchy kick. No added salt or sugar. Even better for baking, or as an ice cream topping. 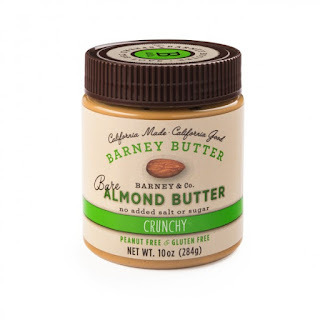 Barney Butter Almond Butter is so delicious! I kept tasting each variety trying to decide which one was my favorite, but I just couldn't choose. I love them all! Each favor is unique and delicious in it's own way, perfect for different occasions. 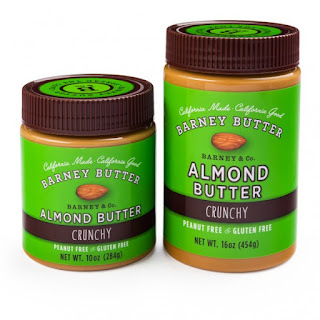 Barney Butter Almond Butter is packed full of protein and are all gluten free. I love that 100% of their almonds from local growers and that their jars are made of 100% post consumer recycled #1 PET plastic and is also BPA Free. 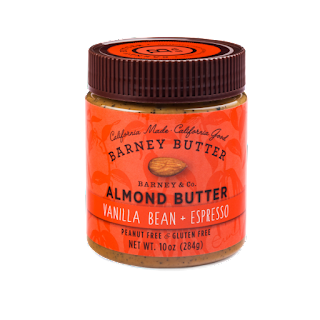 Barney Butter Almond Butter is so good! 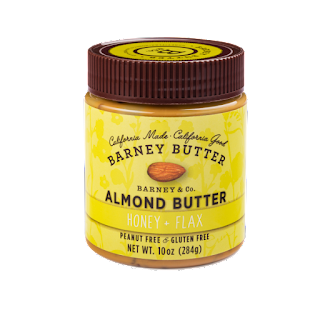 Click HERE to locate a store near you that sells Barney Butter! 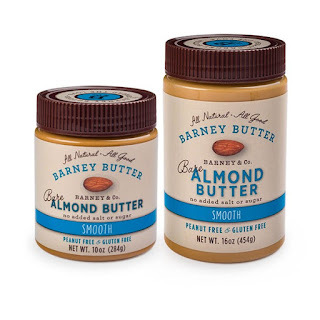 Click HERE to learn more about Barney Butter! Follow Barney Butter on social media! I'm a fan of the coco + coconut, for sure. Not going to lie though, I love most high-quality nut butters!